If you like abstract hanging sculpture, then you’re in for a treat this autumn with a joint show at Olivier Malingue gallery in London (1 October-15 December) and the Palais d’Iéna in Paris (16-28 October) focused on this intriguing sculptural genre. Masses of mobile works will go on show across the two venues in the exhibition Suspension: A History of Abstract Hanging Sculpture 1918-2018, featuring artists such as Louise Bourgeois, François Morellet, Daniel Buren, Haegue Yang and Man Ray. 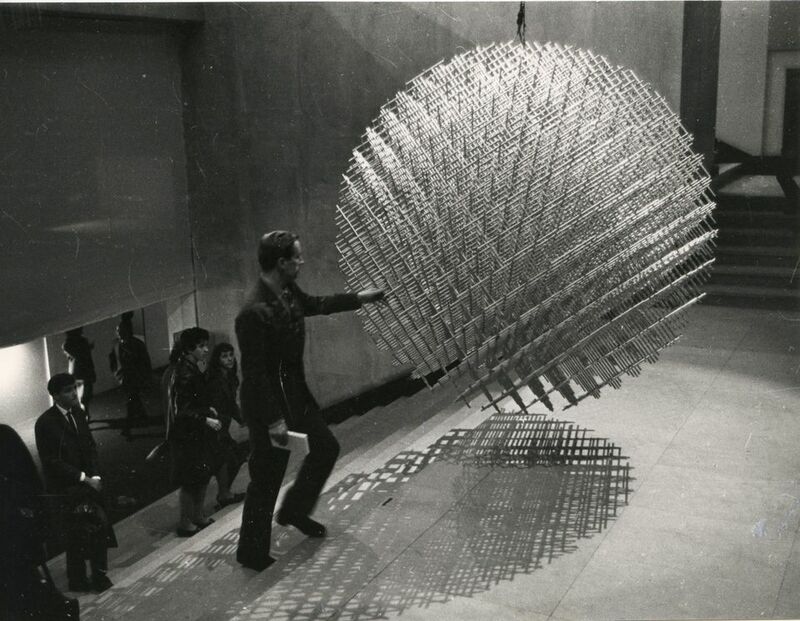 The show’s organisers say they will examine the invisible forces of the air, spanning suspended sculpture dating from the early twentieth century to the present day. Matthieu Poirier, the exhibition curator, gives his own take on how pioneers such as Alexander Calder took sculpture to new heights in the 1930s. “This new aesthetic typology became linked to the dynamic spatialisation of the modern gaze—as much as to the questioning of traditional modalities of display,” he says in a statement (leaving the reader hanging on his every word).